Hyde Park, NY – Over the course of the fall semester, students in The Culinary Institute of America’s Food History class have been researching and curating a museum exhibit for the public. 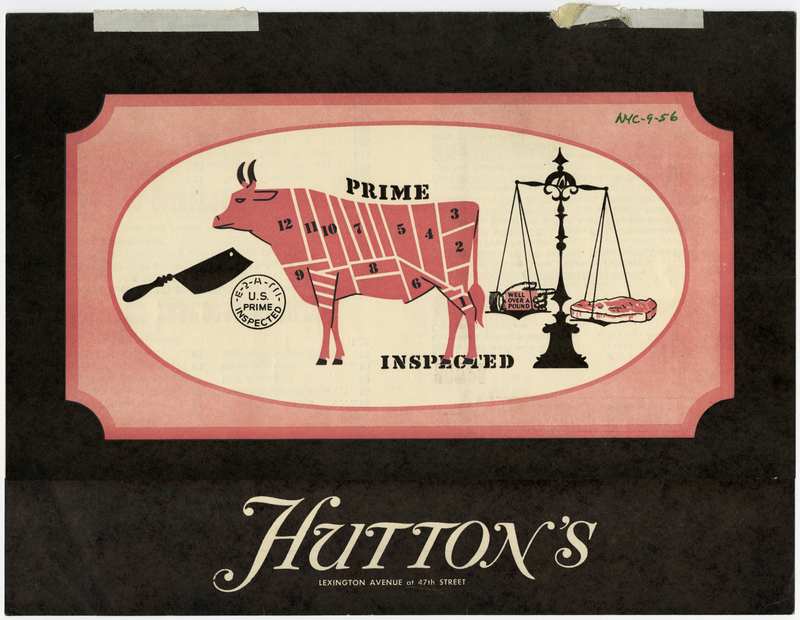 Through the use of primary texts, cultural artifacts, and multimedia, You Are What You [M]eat: The Culture of Meat in 19th–20th Century America showcases meat culture—from production to consumption, as well as its rejection—in America over the past two centuries. Some of the themes they explored include: the movement to large-scale production of meat; dietary attitudes toward meat consumption; Native American and cowboy culture; issues of class, race, and religious relationships with meat; the rejection of meat consumption; and cannibalism in American history and pop culture. The students wrote interpretive and descriptive text to accompany each theme, and produced multimedia components to introduce video and audio elements to the exhibit. An opening reception will be held in the Conrad N. Hilton Library on the CIA campus in Hyde Park on Friday, December 15 from 12:30–1:30 p.m. Student-curators will be on hand to answer questions about the exhibit. They will also prepare and serve foods based on historical recipes that highlight exhibit topics. The exhibit will be on display in the Donald and Barbara Tober Exhibit Room in the Hilton Library until spring 2018. The hours are Monday through Thursday, 8:30 a.m.–8:30 p.m.; Friday, 8:30 a.m.–7 p.m.; and Saturday, 11 a.m.–5 p.m.